McGee, Lerer & Associates is a qualified personal injury law firm located in Long Beach, CA. Daniel McGee and Catherine Lerer are a husband and wife team with more than 38 years of combined experience handling all types of injury cases. Daniel McGee and Catherine Lerer are personal injury lawyers dedicated to helping the residents of Long Beach in their injury cases. Together, the team has more than 38 years of combined experience helping injured victims. Both attorneys at the firm have worked at larger law firms before McGee, Lerer & Associates, and chose to maintain a small high-quality firm. They choose to offer personalized one-on-one attention for their clients. While being a small and personal firm, they still receive the large settlements that people associate with larger firms. The Long Beach personal injury attorneys at the firm have had abundant success in recovering damages for clients. The firm is a member in both the Million Dollar Advocates Forum and the Multi-Million Dollar Advocates Forum. In order to join these groups, a firm must reach million dollar and multi-million dollar verdicts for clients. 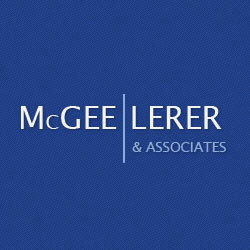 This shows that McGee, Lerer & Associates is able to provide personal and individualized representation while still receiving high-dollar settlements. The firm focuses solely on personal injury cases and continues to enhance their expertise in this field of law. If you have been involved in an accident or suffered from an injury, the lawyers at the firm may be able to help. Daniel McGee and Catherine Lerer are familiar with all types of injury cases, including: car accidents, bicycle accidents, dog bites, drunk driving accidents, nursing home negligence, premises liability cases, wrongful death and many others. If you need skilled representation in your case, contact McGee, Lerer & Associates right away. The firm offers a free case evaluation so do not hesitate to call and discuss your case with a Long Beach personal injury lawyer at your earliest convenience! They also work on a contingency-fee basis so you will not have to pay unless they win your case! McGee, Lerer & Associates believes that personalized service is key to a positive attorney-client relationship. They represent clients aggressively in order to reach the desired end result, but also know how to be the compassionate legal representatives that injured victims need. The Long Beach personal injury lawyers at the firm put the client first and fight for the clientÃ¢â¬â¢s needs and wants. They also know that following an injury, significant amounts of stress and pain can arise and in order to make the process easier they use a contingency fee basis. The firm believes that injured victims should not pay attorneys unless they win the case for them. If the firm is not successful, you do not pay! The firmÃ¢â¬â¢s philosophy entails providing high-quality representation to individuals hurt in accidents due to otherÃ¢â¬â¢s negligence. If you are injured in an accident, they are the firm to call. They offer a free case evaluation so you can call today at no cost. McGee, Lerer & Associates chose the personal injury practice of law because they are passionate about helping the residents of Long Beach in their injury cases. They do not practice in any other field of law because personal injury is their passion. The firm focuses 100% on injury cases and this singular focus allows their expertise to grow and they help injured clients daily. The Long Beach personal injury attorneys are fully dedicated to fighting for compensation when it comes to any type of injury. Whether you are injured in an auto accident, suffering from nursing home abuse or if you were hurt on someone elseÃ¢â¬â¢s property, the firm may be able to help. They have over 38 years of combined experience in personal injury cases and plan to stick to helping injured victims recover damages for their pain and suffering. Call today if you have suffered from an injury and need experienced representation! The Long Beach personal injury lawyers at the firm have years of experience and education behind them, allowing them to provide quality representation to their clients. The husband and wife team at McGee, Lerer & Associates have over 38 years of experience helping clients in their injury cases. Catherine Lerer is a veteran in the courtroom and before she founded the firm, she worked as a protÃÂ©gÃÂ© of one the top personal injury trial lawyers in Los Angeles for more than 20 years. This is when she learned to be an aggressive and successful trial attorney. Attorney Lerer attended Whittier College School of Law where she received her law degree. Now, she is a member of the Consumer Attorneys Association of Los Angeles. Attorney Lerer has settled more than 1,000 cases and has used her litigation skills to achieve the results that her clients need and want. Daniel McGee also received his law degree from Whittier College School of Law. Before founding his own firm in 2001, Attorney McGee worked at one of the leading personal injury firms in California for 16 years. He was the manager of the firm as well as an associate attorney and partner. Attorney McGee took part in several multi-million dollar verdicts and during his tenure, the firm had ample success in cases and even achieved the largest settlement in U.S. history against a police department ($25,000,000). 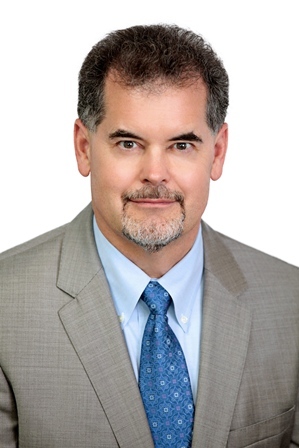 Daniel McGee is a member of the Consumer Attorneys Association of California and of Los Angeles. Both attorneys at the firm are experienced and knowledgeable when it comes to personal injury. If you have suffered from an injury, McGee, Lerer & Associates may be able to help. Contact the Long Beach personal injury attorneys at the firm today to schedule a free case evaluation and discuss your case.